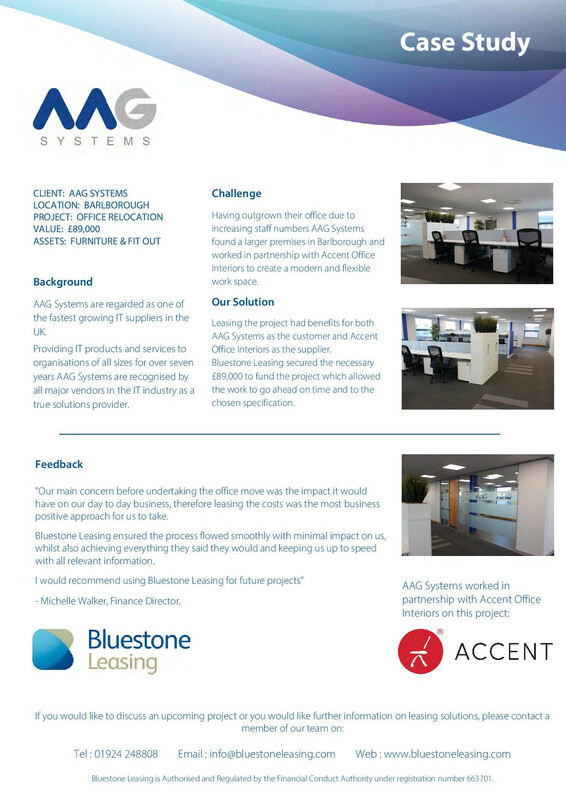 AAG Systems are one of the fastest growing IT suppliers in the UK, and recently faced the challenge of finding a new head office after outgrowing their previous building. 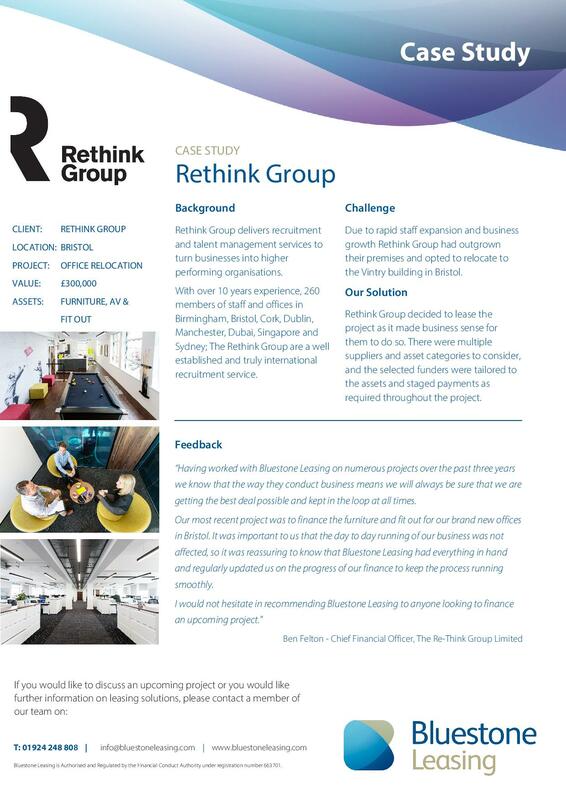 They worked in partnership with Accent Office Interiors to design a vibrant workspace to reflect not only the brand image but also the needs of a growing workforce. 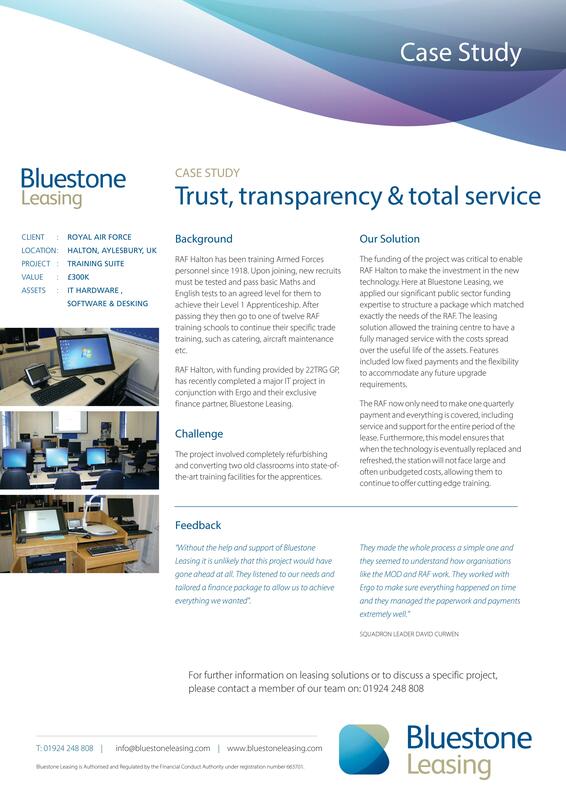 RAF Halton have provided invaluable training to new recruits since 1918 and Bluestone Leasing were delighted to get involved in the project to refurbish their IT and classroom facilities. 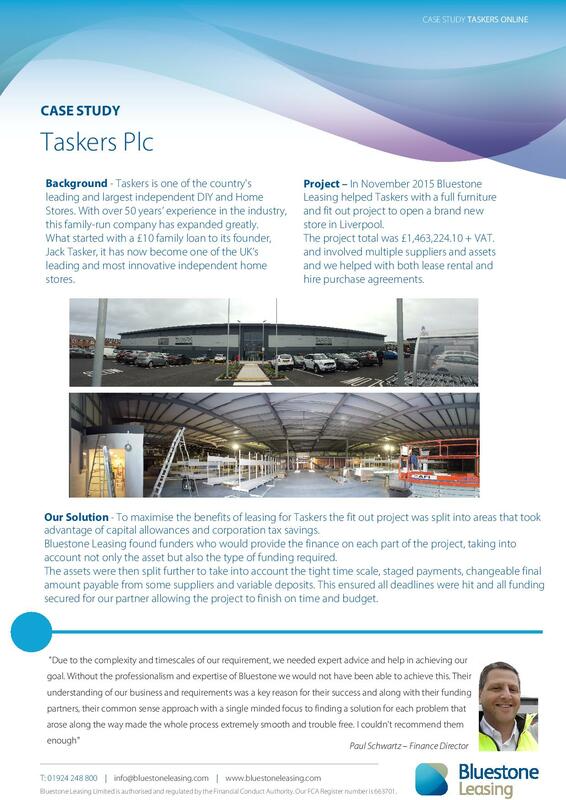 This project was another fantastic example of how we can include software charges into the overall finance package keeping all costs combined into one regular payment. 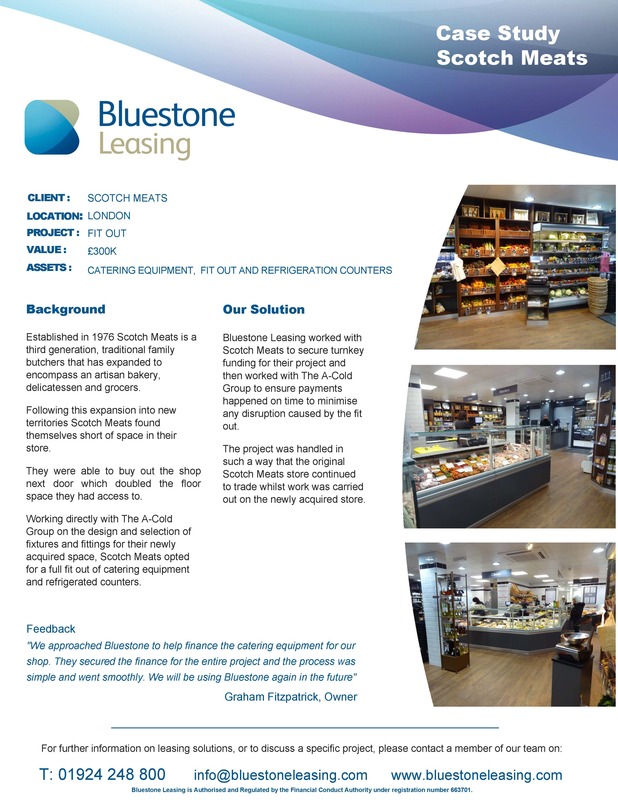 We love what we do here at Bluestone Leasing, everyone is passionate about their partners and customers but it always feels extra special to be able to help a charity. We have recently been lucky enough to work with Sightsavers, a UK-based international charity which fights avoidable blindness and promotes equal opportunities for visually impaired people. 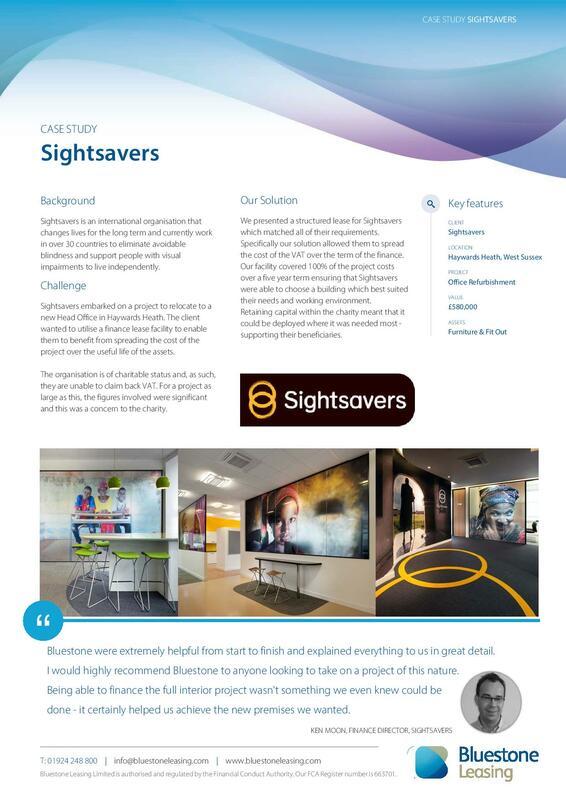 We worked with them to arrange a suitable lease for their requirements; allowing Sightsavers to move premises and whilst continuing with their amazing work.